Pioneers in the industry, we offer steel cutlery holders single stand, cutlery holder, cutlery stand, stainless steel spoon stand, cutlery holder with stand and spinning cutlery holder from India. 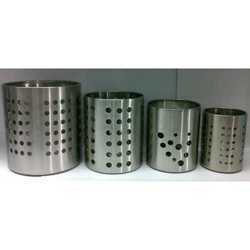 Available Size 4" X 4" , 4" X 5" , 4" X 6" and 4" X 7"
We take pride ourselves in offering a superior range of Steel Cutlery Holders Single Stand, which is fabricated using best grade raw materials that are sourced from reliable vendors that ensure desirable durability and resistance against corrosion. Our ranges of products are widely used to keep kitchen tools. 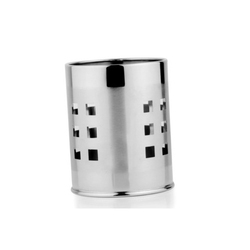 These are available in various sizes and models as per the clients’ requirements. Clients can avail these from us at reasonable prices in the market. Available Size 4"X5" , 4"X6" , 4"X7"
We are involved in manufacturing a finest quality Cutlery Holder to our respected clients. Our ranges of cutlery holders are ideal for keeping various kitchen tools such as spoons, forks, knives and many more. These are developed under the strict supervision of our experts, who possess several years of experience in this domain. These are manufactured these using top quality materials. We offer our ranges of products are available at competitive prices. We are manufacturing a wide range of Cutlery Holder. Our ranges of products are also checked stringently to ensure the best quality product to our customers in different options of size, models. 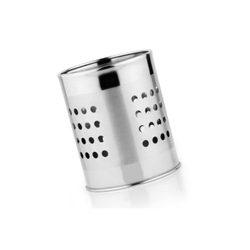 These are ideal for keeping various kitchen tools such as spoons, forks, knives and many more. We provide these products to our respected clients at reasonable prices in the market. We are manufacturing a wide range of Stainless Steel Spoon Stand, which is well known for its features like durability and reliability. 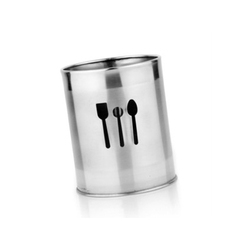 These are exquisitely designed to hold the other cutlery items and add to the overall charm of the dining table. These products are designed and developed in line with the prevailing trend and standards of the industry. We offer our ranges of products to our clients at affordable prices in the market. 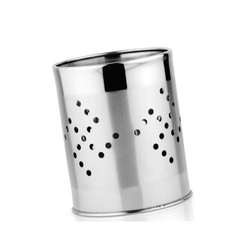 We present an exclusive range of Cutlery Holder with Stand to our clients. These are manufactured using best grade raw materials and advanced technology, which ensures less time and power consumption while functioning. Our ranges of products are available in various sizes and with stand. These are appreciated for its features like durability and strong. These are available at reasonable prices in the market. 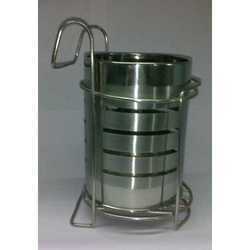 We are well known manufacturer of a wide range of Spinning Cutlery Holder. Our ranges of products are fabricated these using superior quality materials and advanced technology by industry experts. These are used for the purpose of storing things in a proper manner without cluttering them around the place. Our ranges of products are tested on various conditions before dispatching to our clients. We also offer our ranges of products are available at affordable prices in the market.